The Seaside Area on the west side of Fukuoka includes the Fukuoka Tower, the Fukuoka City Museum, and other symbols of the city. It is also very popular as a refreshing area that is easily accessible from the city center via a 15-minute bus ride from Tenjin. Entertainment facilities and attractions that assemble the essence of technology are also here, and the area is packed with sights to see and things to do for families and couples alike. The Seaside Momochi area right near the city center is perfect for refreshing oneself. This tower of 234 meters above sea level is the tallest beach tower in Japan. 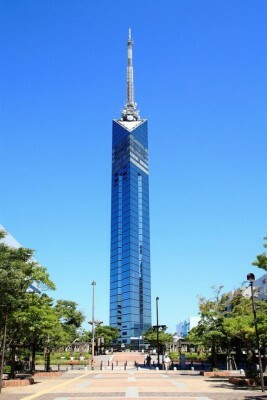 This symbolic building of Fukuoka's western subcenter, covered by as many as 8000 half-mirrors and boasting a sharp appearance with its triangular structure, is known by the name of Mirror Sail. 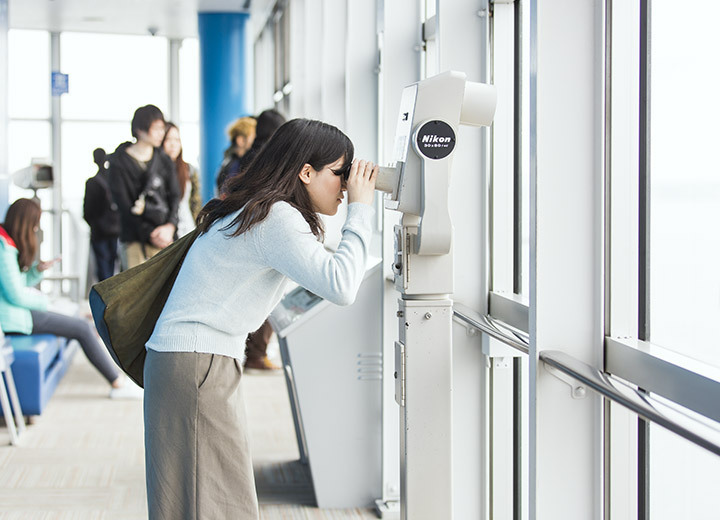 The panoramic view of Fukuoka city from the observation room on the 5th floor of 123 meters high is fantastic. The room is equipped with up-to-date telescopes. Come seasons of Tanabata (traditional star festival) or Christmas, the tower romantically decorates the night view of the city with illumination lights on its half mirrors. At the Fukuoka City Museum, you can learn about the track of the city’s cultural development through history and folklore. The Permanent Exhibition Room, which begins with the well-known national treasure the Kin’in (golden seal), is a must-see. Replicas of the Kin’in are very popular souvenirs. 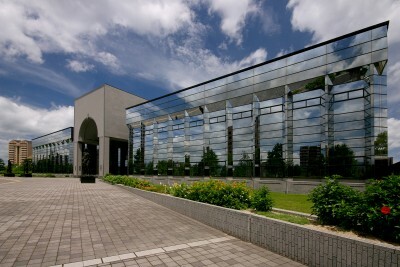 In addition to planned exhibits that utilize collections in the Feature Exhibition Room and the permanent exhibit of the famed Nihongo spear from the Kuroda Bushi song, there is always something going on in the Special Exhibition Room, which offers original planned exhibits on local Fukuokan themes and attractive touring exhibits that introduce domestic and overseas history and culture. The free-admission Touch and Experience Room where you can take instruments from various Asian countries into your hands, the Restaurant, and the Nursing Room also make the museum family-friendly. 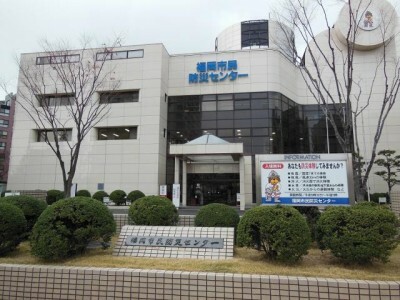 The Fukuoka City Disaster Prevention Center is an enhanced facility where people can enjoy learning about disaster prevention and response through simulations of various disaster situations. Each year, 120,000 people come to the internationally popular center, which attracts many overseas visitors. It is full of interesting features, including a Guidance Theater that teaches disaster prevention on a large screen, stations where visitors can experience simulated disasters such as earthquakes, strong winds and fires, and virtual firefighting training equipment. You will be repeatedly surprised at the quality of the many features! 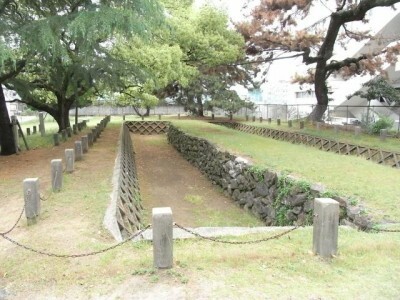 The bulwark ruin of Nishijin area was originally the center of 20 kilometers of bulwark. In 1274 at the time of Bun-ei invasion, Mongolian army landed in Momochi area. The surrounding areas including Sohara, Torikai and Akasaka were turned into battlefields. The bulwark was built after the battle. Nishijin Mall is a shopping district that continues for about 1.5 kilometers from the Nishijin Station area to Fujisaki Station. It includes the Nishijin Mall Federation, which is comprised of seven shopping malls, including the Nishijin Central Shopping Mall (famous for the Riya Car Butai (Rear Car Corps) who sell vegetables, pickled foods, and seafood on bicycle-drawn carts), the Nishijin Orange-dori Mall, the Takatori Mall, and the Fujisaki Mall. 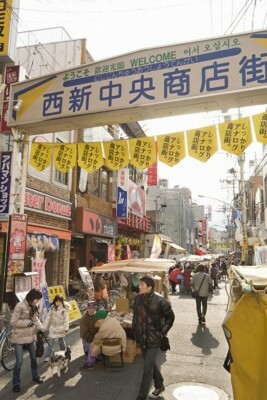 At Nishijin Mall, you can enjoy the invigorating energy of about 350 shops in a bustling environment. There are many schools in the surrounding neighborhood, and the mall plays a deep role in the local culture as a students’ quarter where young people hang out.